Draw teens in and keep them coming back during the month of March, when we celebrate women’s history, March Madness, World Wildlife Day and Extraterrestrial Abduction Day! 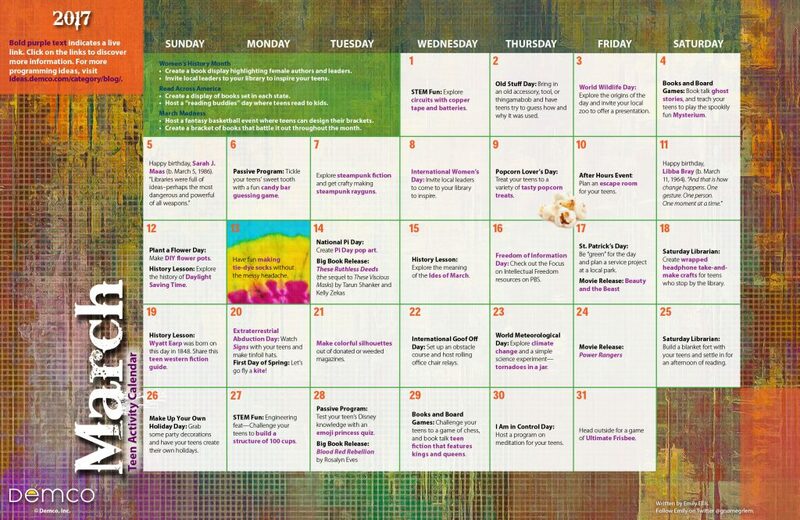 Download a printable 8.5″ x 11″ version of the March calendar. 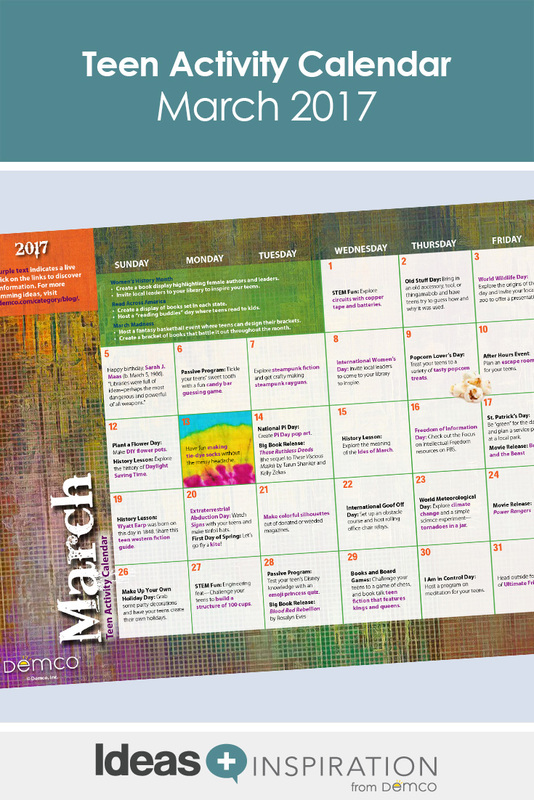 Download a printable 11″ x 17″ version of the March calendar. Emily provides fun, interactive programming and services for teens in her community at Greenwood Public Library (IN). She has worked for nine years building a vibrant and successful Teen Services Department. Emily was a 2012 Library Journal Mover and Shaker and is passionate about providing opportunities for teens to create, experience and imagine in their libraries. She is also a self-proclaimed nerd and blogs at thegnominglibrarian.com. Connect with Emily at eellis@greenwoodlibrary.us or on Twitter and Instagram @gnomegrlem.